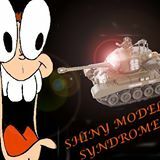 The Shiny Model Syndrome has posted episode 18 of their podcast up online for your listening pleasure. This week the guys sit down and put their list building skills to the test, by building some lists! There's talk of strategy, pros and cons of units and what is overall better. Tune in next week to see how the lists fair against eachother.